If you listen closely you’ll hear a rumble in the cavernous depths of London nightlife. It’s growing in intensity, spreading across clandestine networks of people hungry for something new and refreshing in modern clubbing. 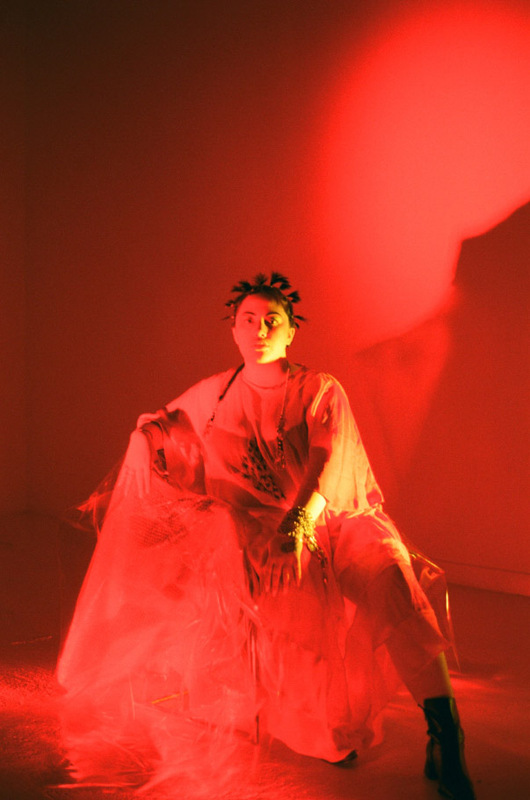 That tremor is UNITI, an event run by London-based musician and artist Englesia. 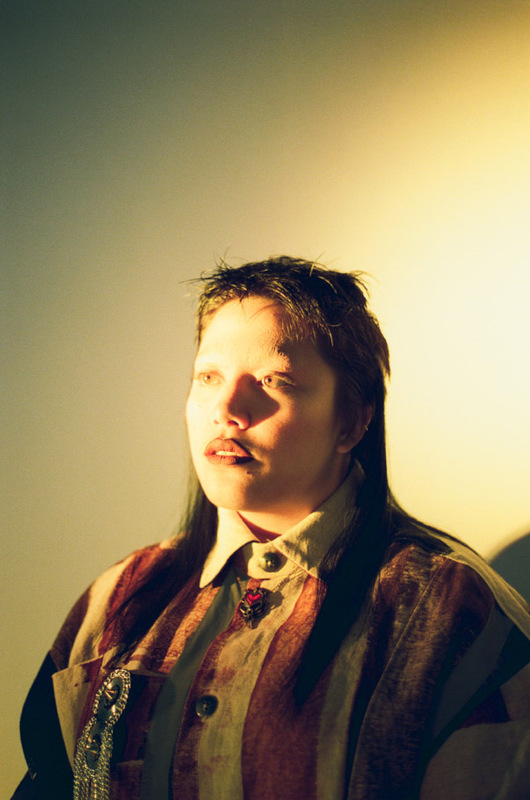 At just 21 years of age, Englesia’s body of work is already vast and growing, spanning the worlds of DJing, music-production and performance, safer-space events, photography and art, to name but a few. Of dual heritage (English and Indonesian) and living between China and the U.S, Englesia uses their variegated experiences to inform all aspects of their creativity. Their music carries themes of disconnect, identity crisis, love and loss; their parties are a call for self-expression and the platforming of marginalised voices. We sat with Englesia to discuss their personal journeys, the community of UNITI and goals for UNITI’s future. Tell me about your background and experiences moving back and forth between several countries. As someone mixed, did you ever feel out of place anywhere or more assimilated within one culture? I was born in California, raised by my dad, and moved to China when I was 7. When I was in my early teens my dad got remarried to a Shanghainese woman, being adopted into a Chinese family, Chinese culture became very important in my life. But living in China, I was always fully aware that I was an expat. My dad is white, and I went to international schools so it definitely wasn’t a native Chinese experience. Also in most parts of Asia, there are standards of light-skin, waif-thin, which are not necessarily realistic or universally applicable, and I remember growing up thinking “Am I thin enough, is my skin light enough?” Being half Indonesian but having a complicated relationship with my mum, I’ve had sparse bits of Indonesian culture in my life and only really started embracing that side of my identity fully in the past two years. Since moving to London roughly three years ago, I’d say maybe 80% of my friends here are POC or mixed which has been vital in helping me understand and come to terms with my own experiences. I’ve used music as a means of processing my identity issues, for example using spoken word and stories told by my friends of similar identity confusion, and it was insightful. When did you first start playing and making music? Probably since as young as 5 years old, all through my life I would try to learn different instruments. But everything really changed when I was in high school and I started going out in Shanghai. I started working at these high-schooler club parties as a photographer. Through that, I moved on to more alternative club spaces like Arkham and The Shelter. The Shelter was one of the pioneering forces in China for alternative club music (that’s unfortunately shut down recently, RIP) and it was there that I saw Ikonika play when I was a teenager. I was in awe, thinking “here is a woman, a woman of colour, being booked in China to DJ?”That’s when it clicked and I realised I could do it too. That’s how I began DJing. I threw my first event when I turned 18 years old in Shanghai and started producing properly after I moved to London, while I was studying popular music performance in singing at University. How did UNITI come about and how has it developed since its inception? UNITI began around 2016 with two other people. We were going to parties with great music, but were constantly harassed in those spaces. 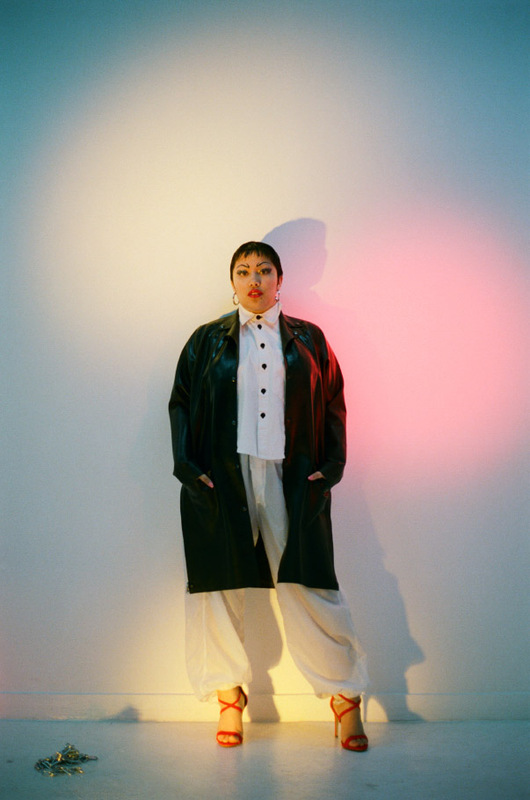 We wanted to create a space for the kind of music we liked to listen to when going out – weird, experimental club music – and we wanted the space to consider the wellbeing of the people there; to create a platform for women, POC and LGBTQ+ creatives. We threw our first partya month after the brainstorm meeting, got featured in DAZED as part of a spread on collectives pushing new movements in dance music, got our own radio show and started releasing music. Fast forward to 2018, I was the only person running it and I didn’t have the capacity or resources to keep it going in the way that it was, so I had to completely rethink its structure: what I was doing, the approach, the concept. After summer 2018, I launched the sub-party ‘PLUR (Peace.Love.UNITI.Rave)’. Even though it was a fresh start, the core remained the same: an inclusive spaceand platform for people from marginalised communities to express themselves, be together, and be free to be however they wanted to be without worry of harassment, judgment, and so on. The UNITI NYE party was incredible, from the line-up to the location and organisation. How did you plan and execute the whole thing? It was LYZZA, Nocturnal Femme, and myself planning this entire NYE party. 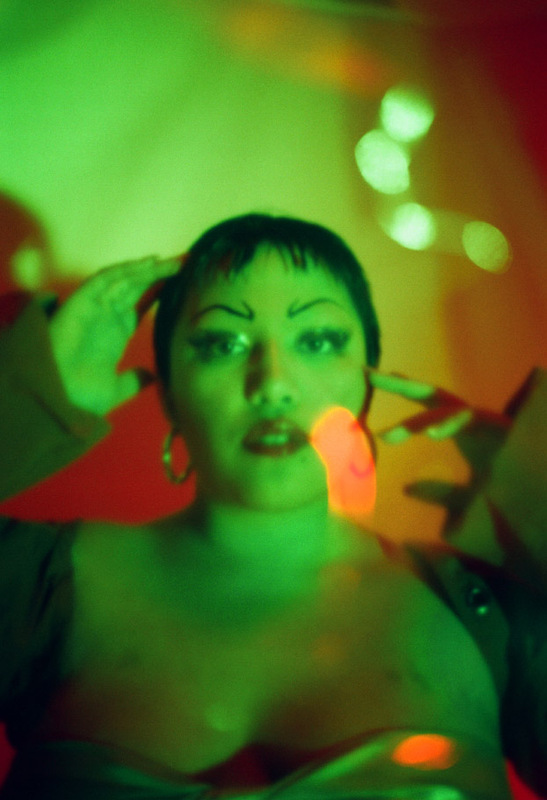 I’ve known Lyzza since I was 18 and she runs the X3 party in Amsterdam with Nocturnal Femme. We had the concept for this party in November and had to organise every little detail from budgets to the space, the artists, the alcohol, the electronics, the staff, trash bags! Lyzza and Nocturnal Femme coordinated the artist booking and that’s how we got the international acts (Juliana Huxtable, LSDXOXO, Ziur and Rui Ho) to play the night.Communication-wise, it was a lot to work on what with being in different countries, so honestly we had to do a lot of stuff and wrap things literally on the 31st. I don’t think I slept between playing a gig in Berlin on the 30th, straight through to the evening of the 1st. How was it after the party when you’d got your sleep and soaked it all in? What kind of feedback did you get? When you throw events you don’t really get to bask in the afterglow just because there’s still so much to do post-party. Sometimes with events you get an hour in the party to enjoy yourself and truly soak in the vibe (usually while you’re djing), this time it was just too mad. We’ve had some amazing messages from people, saying it was the best party they’d ever been to. I think there’s something really special in that, people mentioned the importance of throwing inner-city squat raves, as they’re so essential to rave culture and how it was 20 years ago. So I think it just all fell together well in terms of creating the space and energy for people to feel properly free, together, and listen to great music. How do you think we can continue to educate people about safe spaces and prioritising marginalised voices through music and events like UNITI? In a perfect world, everyone’s aware of their privileges.One aspect of being part of any marginalised community is that it shouldn’t be your responsibility to educate people, but everyone has to learn somewhere - so it just depends on each individual's capacity (as it’s emotional labour) to be patient andtalk about their lived experiences. I think through all of the elements related to my music (my releases, DJing, throwing events, social media), I’m always trying to make sure that my statements are very clear about what my views are. These values are care, equality and the betterment of life for people who are marginalised because they deserve to have spaces, representation and reparations. Representation is not just important to see someone you relate to, but also for people who are dissimilar, to show them that these differences are actually completely normal and just as much a part of someone else’s narrative as they are yours. You’re open about your personal experiences on social media, discussing the good, the bad and everything in between. How important do you think it is to share these formative experiences with your audience? I’m very vocal about my experiences with mental health, body image, identity, harassment, traumas – all of these things that inform my personal experiences and worldview. I think that sense of vulnerability when putting yourself out there helps people know that they’re not alone, even if they might not want to talk about it openly themselves. Again, it’s also helpful for people who haven’t experienced these issues before to see how they affect others, even if not directly affecting them. How can you begin to think about how something affects other people if you’ve never been exposed to it or seen an example of it? It’s a naivety that does often grow into ignorance. Finally,how would you like to reflect on your work with UNITI and how do you see it taking shape in the future? I have so many ideas in the pipeline and different things I want to do with UNITI, but I do need to be reasonable as I’m only one person with 24 hours in a day. Moving to London has been so special and important to me, becoming part of a larger community of amazing people with pure intentions, creating these spaces where people can feel comfortable and free, finding a true home for myself and helping others too. Being able to provide that is awesome. My dad is the most selfless person I’ve ever met, which really inspires me to attempt to live selflessly, to do things for others without unreasonable expectations. I want to improve people’s lives and help them feel better, whether through my music, UNITI, or discussion of personal experiences, that’s one of the driving forces in my life. Doing UNITI, every aspect of it is work and is exhausting, but ultimately it’s work that is fulfilling and enables people (including me) to feel free, even if for one night at a time.